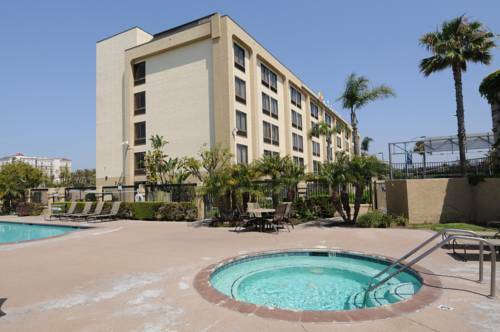 The smoke free Comfort Inn and Suites hotel in Anaheim, CA will get you rested and ready for anything. Located just minutes from Disneyland, we are also near the Anaheim Convention Center, Honda Center and OC Fair and Event Center. We offer free WiFi, a business center, meeting space for up to 25 guests, a fitness center and free hot breakfast. Relax in one of our spacious, guestrooms, all of which feature TVs, microwaves, refrigerators, coffee makers, hair dryers, irons and ironing boards. Also, earn rewards including free nights and gift cards with our Choice Privileges Rewards program. No pets allowed. Deposit required with cash payments.